Just a few additional kms than my previous Piana-Calvi route but sticking with the coast and avoiding the steep climb up the Col de Marsilino. No less beautiful and some would say, preferable. 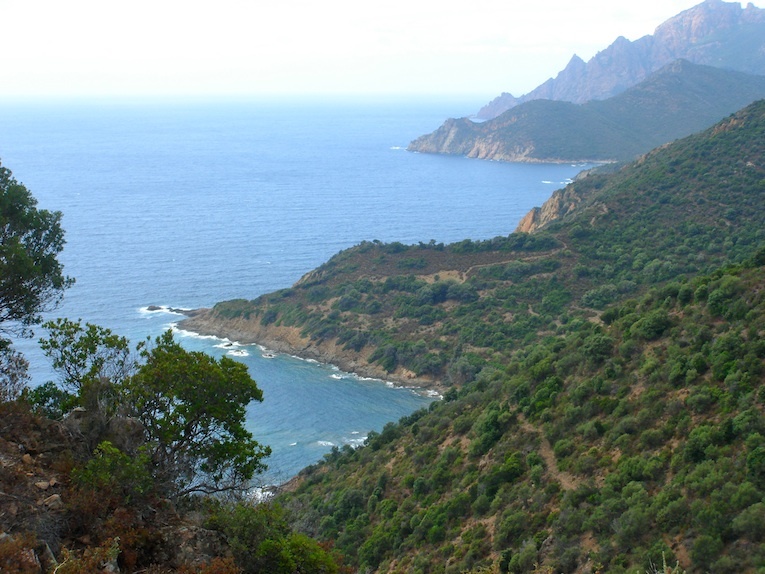 The route is the same as Piana-Calvi until you've crossed the bridge over the Fango river at around the 58km mark. Go left on the D81B, the coast road back to Calvi. Note the surface is broken in places but improves after a few kms. This like many others is undulating and very narrow with lots of bends. The payback however is a 35km ride along one of the most superb coastal routes in the Med - it's the sort of road that I wouldn't be surprised to see the Top Gear team on one day, not on bikes mind you. It's not one for the faint hearted!